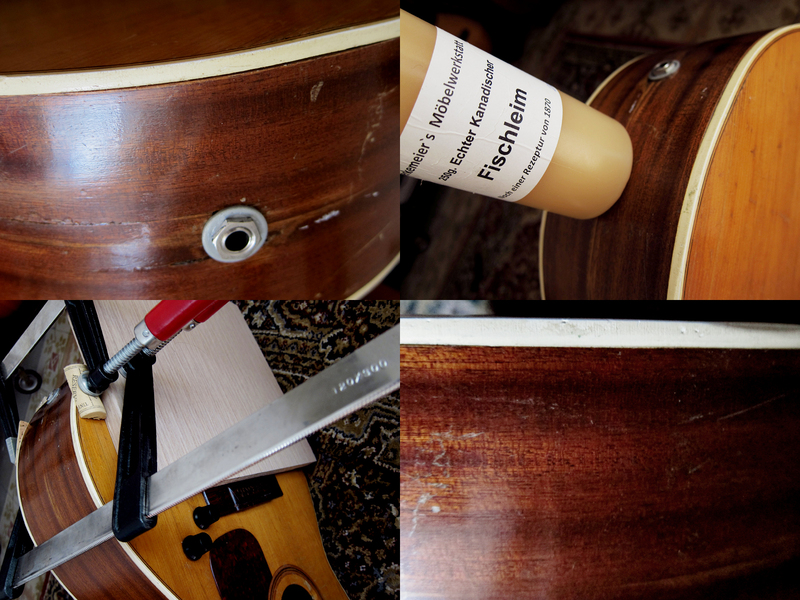 I see that you have tried the fishglue 🙂 If you want to test if it really contacts when it dries, try putting some glue on a thin piece of quartersawn wood. If everything is like it should, the pice of wood should bend into a half moon shape. To REALLY do a great repair, you should glue a square piece of wood over the crack on the inside. Use quartersawn spruce, 2-3 mm thick, and make a small “pyramid” with thin edges. Ca 3 cm in a square. Make sure the wood grain goes across the crack and not in the same direction. That way the repair will be stronger and the crack will stay closed.